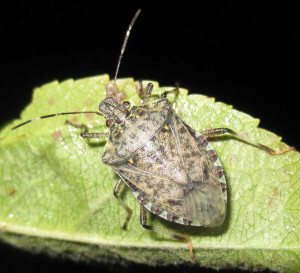 The brown marmorated stink bug (BMSB) is here to stay. Found in the U.S. in the late 1990s, this pest attacks peppers, tomatoes, pumpkins, sweet corn, apples, peaches, and several other fruits and vegetables. Plus, it can be found in virtually all states — from Virginia to Washington. 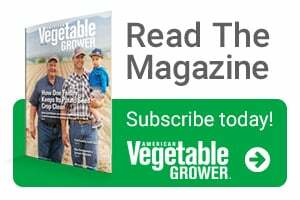 To help you battle this pest, American Vegetable Grower® spoke to Brett Blaauw, a research associate at Rutgers University, who works on sustainable pest management practices to control BMSB. He offers insight on scouting techniques, sustainable control options, and more. Q1 When should growers begin to scout for the pest? It is important to note that multiple native species look similar to BMSB. Like the other species, BMSB has a shield-shaped body that is characteristic of all stink bugs. The adults are approximately 5/8-inch long with a mottled brownish-grey color. What separates BMSB from other stink bugs is that the next-to-last (fourth) antennal segment has a white band. Plus, several of the abdominal segments protrude from beneath the wings and are alternatively banded with black and white. The underside is white, sometimes with grey or black markings, and the legs are brown with faint white banding. Q2 Row covers, trap crops, natural enemies, barrier protection, and biological controls are sustainable ways to control BMSB. Can you explain the benefits of each control method? Blaauw: The benefits and costs for each type of control often will be dependent on grower needs and interests. 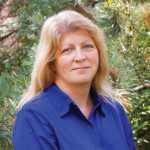 As part of a multi-state grant lead by Anne Nielsen of Rutgers University and funded by the National Institute of Food and Agriculture’s Organic Agriculture Research and Extension Initiative grant, we have investigated these methods for BMSB management. Here is a rundown of each control method. Row covers and barrier protection: Row covers can help with temperature regulation, especially for a crop such as bell peppers. When a fine-mesh row cover is used, it will significantly reduce the amount of stink bug damage to a crop such as bell peppers. Unfortunately, using a row cover increases the cost of production, and in a system like peppers, it may actually reduce the crop yield. With that said, however, there would also be a cost saving due to a reduction in the need for insecticides and the potential to increase the amount of marketable peppers. Trap crops: Research on the effectivness of trap crops was conducted last year and is currently in progress this year. Previous work has shown than sunflowers and sorghum are highly attractive hosts to BMSB, so current research is assessing the strategy of planting those two plants along the border and surrounding a plot of bell peppers for BMSB management. The idea is that early in the season the sunflowers will be more attractive to BMSB than the peppers, and later in the season the sorghum will be more appealing. So “trapping” the bugs before they attack the peppers minimizes the need for chemical control. Natural enemies and biological control: When exotic pests, like BMSB, are introduced into a new area, our native natural enemies are not necessarily adapted to feed on the new pest. Thus, current research is investigating native natural enemies that are previously known to feed on native stink bugs to quantify how effective they are at potentially controlling BMSB. Fortunately, many of our generalist predators, like lady beetles, spiders, and even ants, have been found to feed on BMSB eggs and nymphs. Additionally, Trissolcus japonicus is a small, parasitoid wasp species that attacks BMSB in its native range in Asia.The wasp has recently made its way to the U.S. and was first detected in 2014 in Maryland and Virginia. The wasp The current range, additional hosts, and efficacy of T. japonicus at managing BMSB are still being researched. Q3 How does the control strategy of “reduced input” benefit specialty crops, and how does timing play into this control method? Blaauw: Reduced input refers to the strategy of exploiting the natural behavior of BMSB to attack the perimeter or border of a crop first before dispersing into the crop’s interior. This entails maintaining a fresh application of insecticide to the perimeter of the crop, controlling BMSB before they infest the entire field while also reducing the amount of insecticide used to manage this pest. This strategy was successfully tested in peach and apple orchards through a SARE (Sustainable Agriculture Research and Education Program) funded project lead by Anne Nielsen that investigated Integrated Pest Management – Crop Perimeter Restructuring (IPM-CPR) where insecticide applications for BMSB were focused primarily along the crop perimeter. The IPM-CPR strategy reduced insecticide inputs for BMSB by up to 75% while managing the bugs in the orchards and their subsequent damage at levels equal to or better than that in the conventionally managed orchards. For more information on insecticides used to control stink bug, go to Njaes.Rutgers.edu/stinkbug/pesticides.asp. Rosemary Gordon is Editor of Grower Programs and Events for Meister Media Wordwide. See all author stories here.